Do you deliver to personal residences? With a fleet of 53 trailers and 46 tractors, Ginsberg’s Foods is proud to deliver from three locations (Hudson, Binghamton, and Connecticut) thousands of products to restaurants, schools, colleges, institutions, and other organizations across several states. We currently do no offer personal residence service, but are always considering expanding our service lines to improve our customers’ experience. Do you ship products via FedEx, UPS, USPS? As a leading food service distributor, we have the capacity and the wherewithal to deliver thousands of products to customers across several states each day within our service area. We do not use third-party parcel services to deliver our products. Do I need an account to purchase product at our Will Call Center? Good news! You don’t need an account to purchase products at our Will Call Center! Simply contact us with your order and we’ll have it ready for you in short order! How do I place an order for pick-up at your Will Call Center? Our Will Call Center offers customers the opportunity to conveniently pick up products for their own use. To place an order, simply call our Customer Service Department at 518-828-4004 and press 1 and one of our Customer Service Representatives will take your order. Please allow at least 1 hour to process your order. How do I know what products you carry? With thousands of fine products, it would be impossible to list all the products we sell here. But don’t worry! We offer an online product search (click here to go there) that lists everything we sell. You may also call our Customer Service Department and one of our helpful representatives can answer any of your questions. What time is my order being delivered? 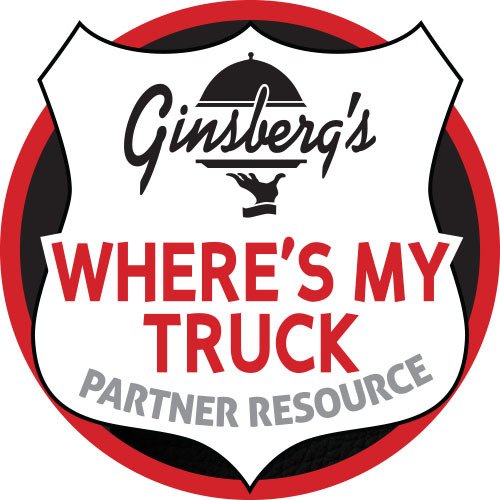 Ginsberg’s Foods is proud to offer a wide range of services to its customers to help them identify where their trucks are, help them place an order online, and find the products we stock. To find your truck, click here. And while you’re at it, consider visiting our Customer Portal to see all the other services we provide. How do you get to the Ginsberg’s headquarters? Our headquarters is nestled in Hudson, NY, just a short ride from the heart of Hudson, one of the most beautiful areas in Upstate New York. If you’re interested in visiting our headquarters, please visit our Contact Page for directions.